Assessments are more serious exercises designed to test the learner, these exercises don’t give the learner feedback after submitting their answer. Knowledge Checks are questions designed to help someone learn a topic, the learner is asked a question and then they receive feedback on their answer. Surveys are designed to obtain information from the learner and present it back to them, there is no right or wrong answer to a survey. To see a live example of these different form types click here. To see a live example of all of our Questionnaire page types click here. For each of the following Page types you will be able to see which form type the page type is available as from the ‘Available as’ section. 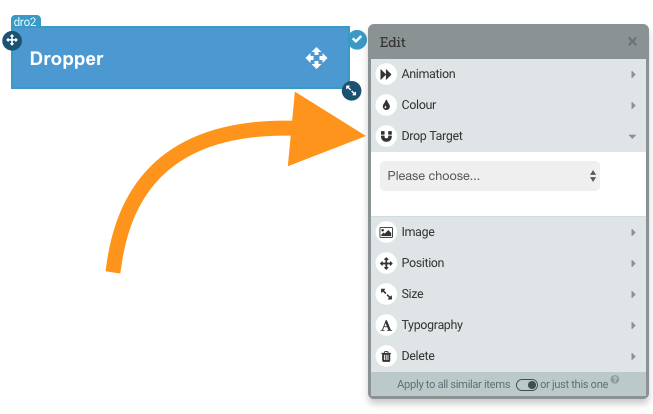 With this page type the Learner is asked to drag options into one of the ‘drop areas’. Here are some tips for achieving the best mobile experience with the Drag and Drop page. Possible scores for Drag and Drops are either correct, incorrect or partially correct, and the resulting score will follow the usual scoring and weighting as configured in the Page Settings (see Advanced Scoring). With this page type the learner is asked to submit a text answer, the text needs to match with the answer. Click the area where you wish for your learner to add their answer, then click ‘Add Blank’. Hint: don’t press delete or you will delete your answer box. …you could accept either Authorise or Authorize. With this page type the learner is asked to choose multiple answers from a selection of image answer boxes. With this page type the learner is asked to choose a single answer from a selection of image answer boxes. With this page type the learner is asked to choose multiple answers from a selection of answers that are placed on an image. With this page type the learner is asked to choose a single answer from a selection of answers that are placed on an image. With this page type the learner is asked to choose multiple answers from a selection of answers that are in text boxes. With this page type the learner is asked to choose a single answer from a selection of answers that are in text boxes. With this page type the learner is asked to choose a single answer from a selection of image answer boxes, depending on which answer is submitted a unique feedback pop up will display. Click here for more information on creating an Individual Feedback. With this page type the learner is asked to choose a single answer from a selection of answers that are placed on an image, depending on which answer is submitted a unique feedback pop up will display. With this page type the learner is asked to choose a single answer from a selection of answers that are in text boxes, depending on which answer is submitted a unique feedback pop up will display. With this page type the learner is asked to record a response to a statement using a slider. This is very helpful for creating diagnostic pages and for self reflection. For Assessment and Knowledge Check Likerts, scores submitted are either correct, incorrect or partially correct, and the resulting score will follow the usual scoring and weighting as configured in the Page Settings (see Advanced Scoring). For Survey Likerts, the scoring works from left to right, with the leftmost point being 100% of the score and the rightmost point being 0%. With these Likerts you cannot set Correct or Incorrect options. If you add additional Likerts all of the scores will combine to give you a 100%. Click here for interactive example. …if the learner answers all of the questions correctly they will receive a correct score for this page. With this page type the learner is asked to re-order a set of options that have been randomised. 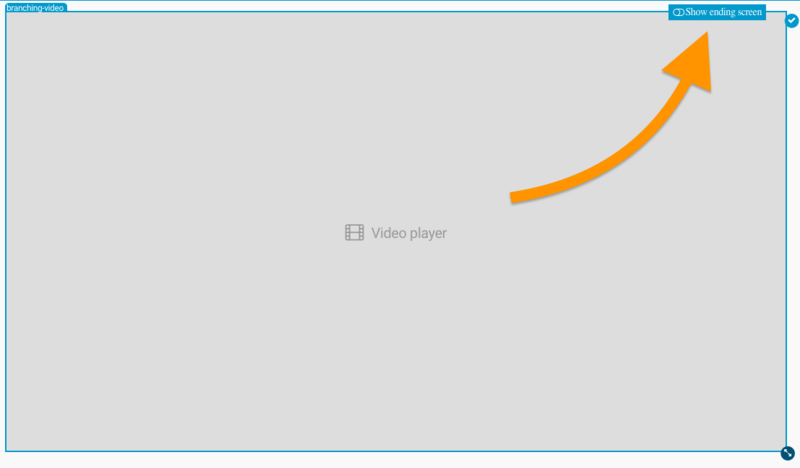 With this page type the learner views a video and at the end of the video a Text answer Single Choice displays. You can add a Video to this page by following these steps. …then click the edit button in the top right of the form you would. 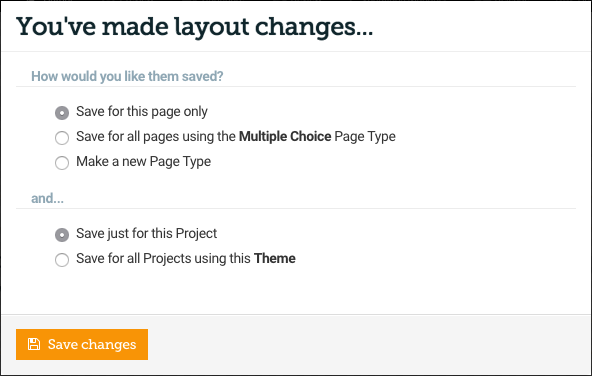 …choose the form type you would like to change to. …for more information about saving in ‘Layout designer’ click here.